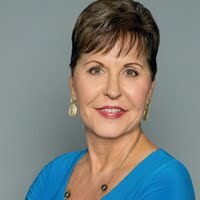 #1 New York Times bestselling author Joyce Meyer offers a powerful, concise abridgment of Enjoying Where You Are on the Way to Where You Are Going . Are you enjoying every day of your life? Or do you tell yourself and others that you will find happiness once you have achieved a specific goal or position? Jesus came so that you might have and enjoy life (John 10:10). 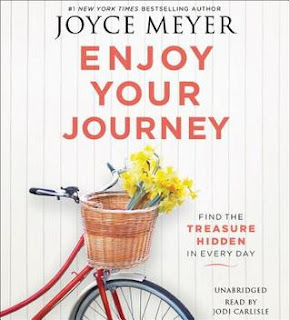 In this compact abridgment, Joyce Meyer combines biblical principles with personal experiences to explain how you can enjoy every day on your journey through life. 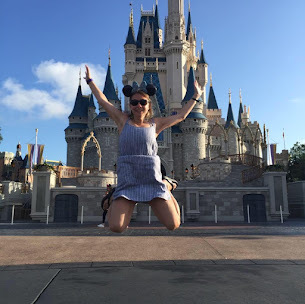 You will learn such lessons as how to make the decision to enjoy life, how to rid yourself of regret, how to experience simplicity in life, how to find joy during times of waiting, and much more! Enjoying life is an attitude of the heart, and you can learn how to enjoy where you are on the way to where you are going. This little hard cover book is packed with how to live your life with enjoyment. Life isn't always daisies and roses, but Joyce challenges the reader to live each day finding joy. In 160 pages Joyce hits on the topics of living simple, enjoying relationships, finding peace and Joyce. She also talks about how problems can steal our joy and I really enjoyed this chapter. In a world where everything is focused on the negative rather than the positive, we often will lose enjoyment in life when we are not focused on God or are not having a joyful attitude. This little book is full of nuggets of truth for your life and is a nice book to give as a gift. I give this book a 4.5/5 stars. Thank you to the publishers for providing me a complimentary copy for review. A positive review was not required.